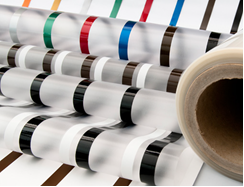 In order to provide a complete all around service to card manufacturers, Alchemy Plastics Inc. offers overlay with magnetic stripe for both off-set and digital printing. 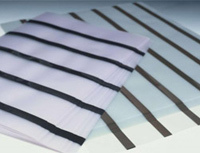 Our technology allows for a complete customization for all sheet sizes and customer’s needs. Alchemy Plastics Inc. can fit any format and thickness thanks to the ample variety of substrate and the ability to position magnetic stripe to customer’s specifications.